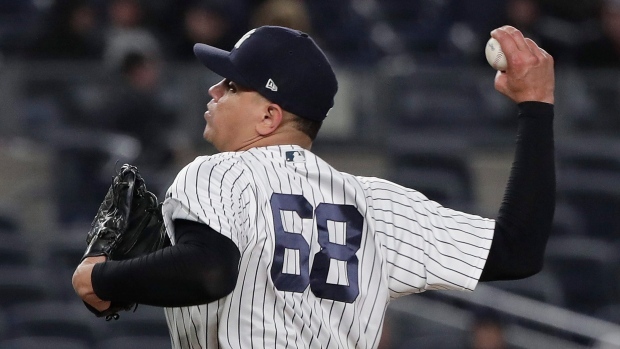 TAMPA, Fla. — Yankees reliever Dellin Betances has inflammation in his right shoulder and will start the regular season on the injured list. He curtailed his off-season throwing program awaiting the birth of his child and was given permission to report a few days late for spring training. Severino, out with right shoulder inflammation, will not be available until May at the earliest. Sabathia is likely to miss the first week or two as he recovers from an off-season that included knee surgery and the insertion of a stent after a blockage was found in an artery from his heart.